Caravan Dehumidifier without electricity. Simply recharge our product. Caravan Dehumidifier – unique and non-electric. Our Australian continent is large and many of us have only visited some parts of this fantastic destination. Caravan owners have most likely travelled more around Australia than most of us. An important investment like a caravan requires maintenance. This is even true during the quieter times when the caravan is closed up, waiting for that next journey. Why do you need a caravan dehumidifier? Great product to keep your caravan dry. In an enclosed space, the still air can combine with humidity and, before you know it, mould appears. 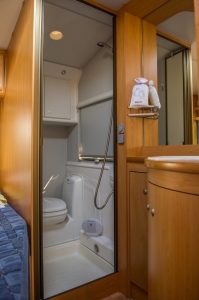 A very unpleasant musty smell can welcome you when you want to get the caravan ready for the next trip. Our posts about moisture and mould as well as the post on mould removal give more information on the subject. To sum up, keep your caravan dry and remove all visible mould. Follow these two principals and you will maintain a healthy and fresh smelling caravan. To keep your caravan dry the Pingi caravan dehumidifier can help. What makes our caravan dehumidifier special? Our Pingi caravan dehumidifier requires no electricity. This keeps the electricity bills lower and eliminates any risk associated with an unattended electrical appliance. This is a really quiet dehumidifier! 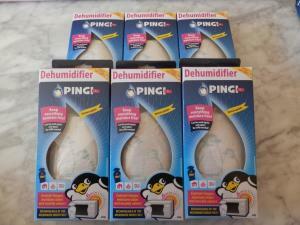 You can use these mini dehumidifiers even whilst sleeping in the caravan. The Pingi caravan dehumidifier does not dissolve, so there are no buckets of liquid. And you do not need to keep on buying more chemicals. You simply dry our bag in the sun or a microwave oven and it is ready to be used again. 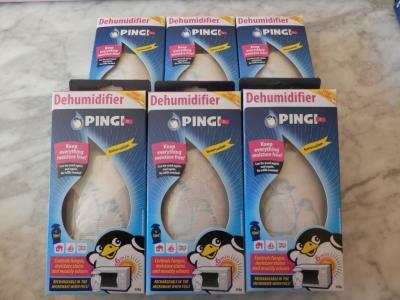 The PINGI XL 450g Caravan Dehumidifier range has an absorption capacity of 180ml per cycle. This makes it ideal for caravans. You may want to buy either the 3 pack or 6 pack (depending on the caravan size). Please click on the red links to place your order. Keep your caravan mould free. We also have dehumidifiers for home cupboards, wardrobes and other enclosed spaces. Please go to our Shop if you wish to order.